The Traveling Tripod: Win a Trip to One of America's Most Popular National Parks! Win a Trip to One of America's Most Popular National Parks! You've no doubt been to one of the 392 National Park destinations throughout the US. No doubt you had fun taking photos, exploring, picnicing...whatever. Recall a memory you enjoyed and share it with the world for a chance to win a great getaway vacation. The grand prize winner will get round-trip air fare, lodging and a $300 expense account. 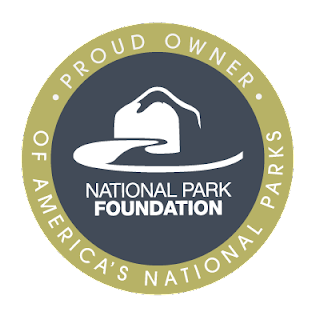 To bring attention to the PBS special "America's Best Idea: The National Parks," the National Park Foundation and ARAMARK Parks and Destinations are working together to sponsor the free trip to one of seven most popular national park destinations. You can enter once a day during the entire month of February. Merely enter another story, memory or suggestion about any of the almost 400 National Park sites.